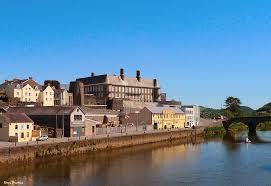 Carmarthenshire County Council is an elected body but widely thought to be "officer led" i.e, the civil servants rather than the elected councillors seem to run the show. Although the political constitution of the council changes, the policy leadership seems to be firmly guided by senior officers. Voters may chose the councillors but not the administration. Any effort to "rock the boat" and criticise the Council's policy can lead to resistance and even attack from this very local " Deep State". Councillors willing to collude are rewarded with positions which often enhance their salary. Councillors who interrogate the reasons for the often unusual council decisions and policies are dismissed as troublemakers. There is little effort to disguise this process and as a County Councillor for 9 years prior to May 2017, I was critical of this arrangement and over this period received nearly a 100 complaints against me personally, penned by the chief executive Mark Vincent James. and sent to the public services ombudsman. I've recently received a letter informing me that the Public Services Ombudsman has decided to take no action in respect of the matters investigated following the most recent complaints against me by Carmarthenshire County Council Chief Executive Mr Mark Vincent James C.B.E. on the basis of alleged numerous breaches of the "Councillors' Code". Mr James appears to have emphasised to the press details of the one issue, in his huge batch of complaints that the Ombudsman was critical of, even though he didn't wish to act on it. This issue involved a junior officer sent down alone from the chief executives' office to the front desk of County Hall to deal with a symbolic "pound of flesh" demonstration. Although I was not the organiser or leader of the demonstration the Ombudman has a valid point in that as I was present I should have asked the demonstrators to leave immediately when I saw the junior officer was very distressed, rather than asking the officer to decline the wrapped piece of meat so the group would leave. In a similar situation I would now certainly act differently and promptly. The Complaint to the Ombudsman was made in January 2017, a few months before the Council Elections in that year. The same process was undertaken against me and my People First- Gwerin Gyntaf colleague Arthur Davies prior to the 2012 Council Elections with a couple of dozen complaints. Arthur was very badly affected by it and lost his seat in 2012. The ombudsman in his general annual report remarks that complaints against Councillors tend to peak before local government elections. This is presumably to discourage opponents from standing or blacken their reputations as the electorate can be told , quite honestly, by a rival team that Councillor X is "under investigation". I am aware of having some negative comments said about me on the doorstep implying improper conduct in 2017 and I narrowly lost my county councillor seat. Positively this has loss given me the time to fully take on other roles and after waiting 18/12 for a verdict the recent "no action" ruling by the Ombusdman has been a great relief. Any uncertainty can be stressful, and facing complaints so numerous that I cannot even remember them all has been disconserting. The vast majority of complaints under the Councillors' code of conduct are made by other Councillors, not civil servants or members of the public. It is Community Councillors rather than County Councillors which are the largest group complained about. 98% of complaints are adjudicated in less than 12 months. Both complaints to the Ombudsman concerning me took 18 months to be closed, both with no action needing to be taken. 3 years of my life under Ombudsman's investigation!. Having a complaint made against you is stressful, even if the the majority of evidence submitted against you appears trivial or inaccurate. The Councillors Code of Conduct is open to interpretation. Specialist legal advice is expensive and beyond my means. Lengthy complaints force you to spend a lot of time thinking about and preparing rebuttal evidence. In this case it took months even for the Ombudsman to decide which complaints to actually investigate. In the end, only 5 made the grade. The Obudsman's advice to County Councillors is clear. Try to resolve the matter locally . "If a County Councillor wishes to make a complaint about another County Councillor within their own authority, I expect them to first of all make their complaint to that authority’s Monitoring Officer, as it may be possible to resolve the matter locally without my involvement "
This advice is not given to Council Officers who are complaining about a councillor. In my case, my accuser, Mr Mark James, did not contact me to resolve these complaints. I suspect the Monitoring Officer was probably involved in drawing up the complaint which is likely to have been prepared with advice from her County Council legal team. If you want to complain to the Ombudsman about a public service such as a school, you have to contact them, and go through the full complaints procedure and still be not satisfied with the response before the Ombudsman even considers your complaint. A Councillor's Code of Conduct complaint goes straight to the Ombudsman. When I was a Carmarthenshire County Councillor she was instrumental, for example in dismissing my complaint when I by chance discovered the instructions of the Chief Executive to the IT department to covertly monitor and log my emails. To her it was perfectly fine and legal. For the purposes of this action I would be regarded as an ordinary employee, presumably suspected of misuse of my Council Computer.. However the rules on monitoring emails of staff clearly state they should be informed. She saw no reason to inform me of this surveillance and was clearly complicit in the whole matter.. How can you complain to the Monitoring Officer when as head of Administration she has already decided that it is perfectly proper to monitor your email correspondence without informing you? How can you report her to herself? I don't blame the monitoring officer, after all her job security, salary grade and career progression is largely in the hands of the Chief Executive. However, the Monitoring Officer should be independent as she represents, in theory, the Ombudsman. Where Officers superior to her, and/especially she herself is involved, she cannot be expected to be impartial. If elections actually mattered, this man, the Plaid Cymru Group Leader , Councillor Emlyn Dole would actually be in charge. I don't think he is. The motivation behind the many complaints against me is,I think is clear and will examine in detail in my next blog together with more about Emlyn. It goes to show once again that ANY complaint or criticism of this Council or any of it's senior offices is dealt with either by threats of legal action or complaints to the Public Services Ombudsman. For far too long there has been a culture to totally dismiss out of hand ANY request for accountability for the actions of senior officers. Apart from the CEO they are elected to their positions and are PUBLIC servants.By not wanting to be involved and calling to account, The Welsh Government are seen to be complicit in allowing this undemocratic and unaccountable situation to continue. 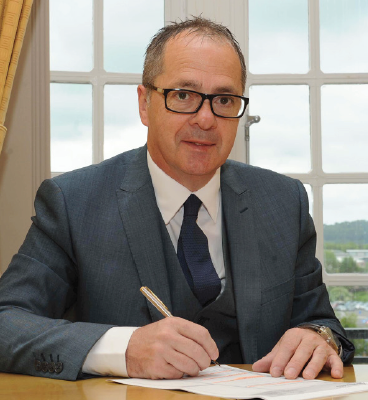 The First Minister who does have the power to call for a change in the culture in Carmarthen Council is prepared to look the other way as his time at Cardiff Bay nears an end. A sorry state of affairs that does little to garner public confidence in our public servants. With the number of complaints made to the Welsh Assembly regarding the dictatorial conduct of the CEO of CCC, asking for intervention, and the wall of protection Ministers put up for him, I would suggest 'Deep State' is very much applicable to the governance if Wales.